We are happy to share some great news! 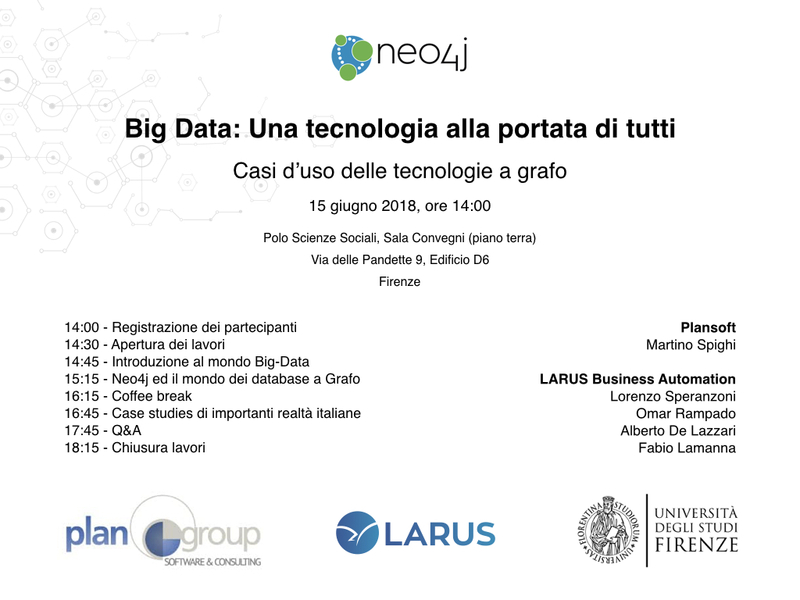 We have been invited by our friends at PlanGroup and University of Firenze to join their “Big Data Conference” on June 15, 2018 in Firenze! We will talk about Neo4j and its applications and use within industry and business. Registrations to the event are available here! See you there!